A quick post to convince myself I’m still a blogger. 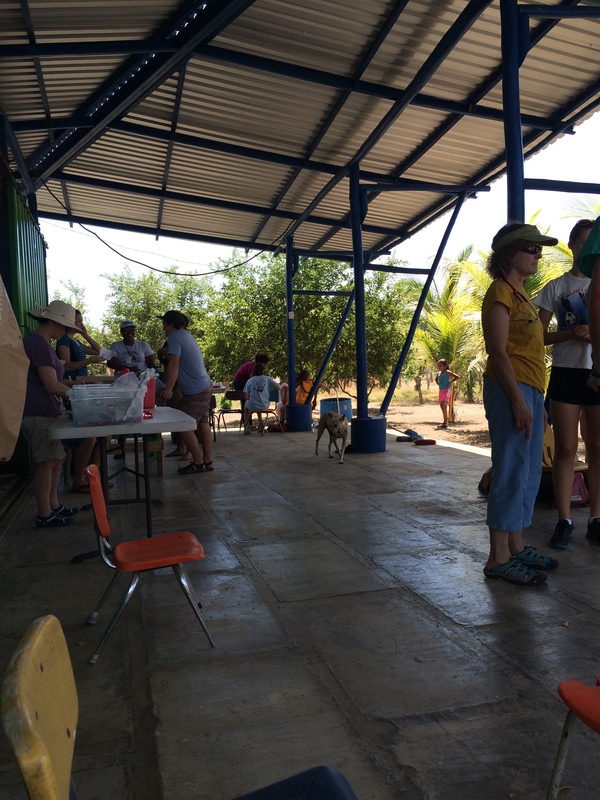 Just got back from a medical volunteer stint in Nicaragua. Stayed in an incredible place on the beach where they combine running a surf camp with a non-profit that works on community development. 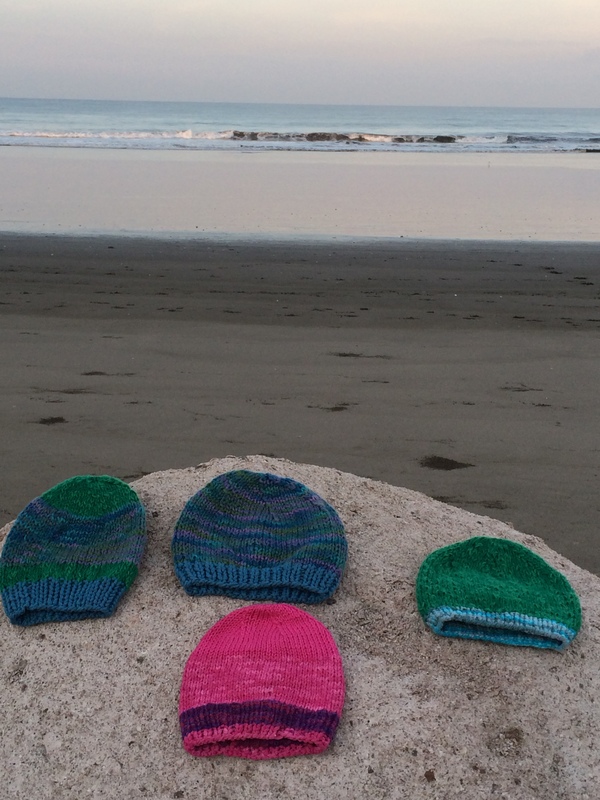 Took thrums and old cotton and made baby hats on long plane rides and bus rides to remote villages while I was there. There isn’t a lot of traditional craft in the Jiquilillo area on the Pacific coast, but my last night there I talked with the head of the local women’s cooperative. They make pine needle baskets. She and I began a conversation that I hope to continue about recycling plastic to make bags, in this case crocheted, to increase the things they have to sell while decreasing the burning of plastic (no garbage pick up here). This is the view from my yoga mat. 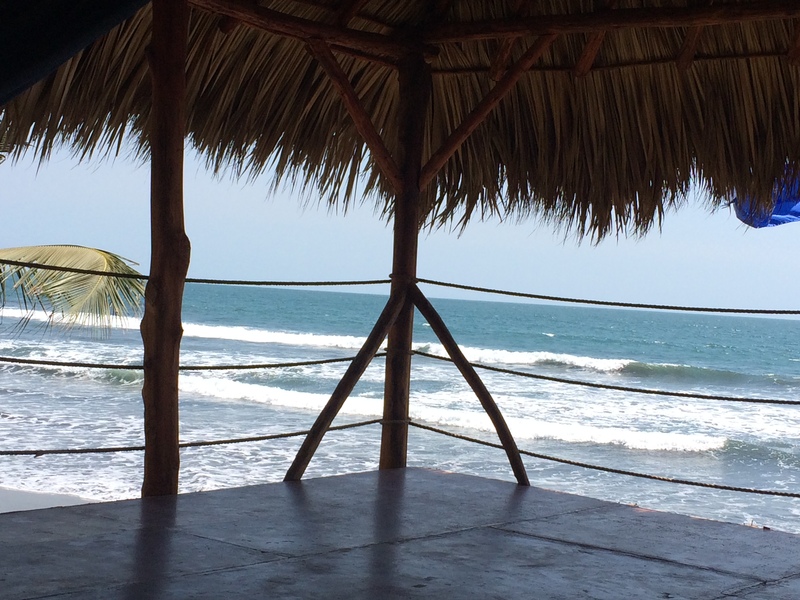 This entry was posted in Knitting, Life and tagged beach, knit, Nicaragua, travel. Bookmark the permalink. Next time you do one of those volunteer stints let me know. Do they need non medical folks for translation/interpreting? I know some basic first aid from school and have lots of useful vocabulary for fun things like nits and lice and rashes etc. And I’m a hard worker.